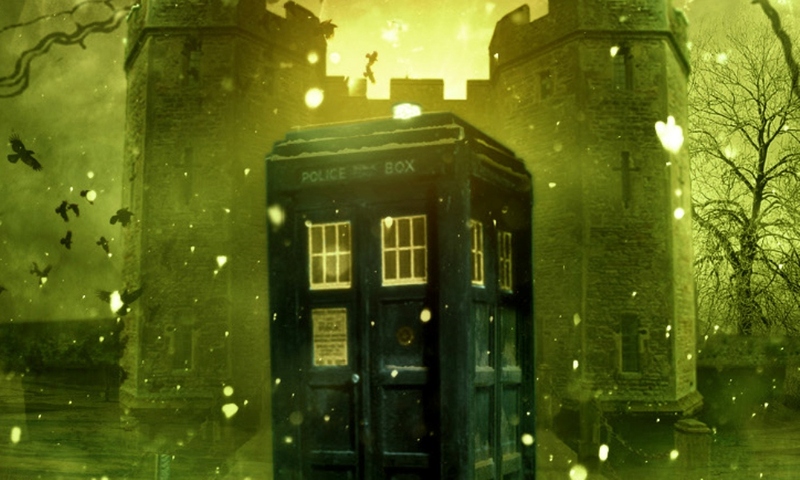 The first season of Early Adventures releases continues with The Doctor's Tale set in England in 1400 and follows the team trying to meet author Geoffrey Chaucer and written by veteran Doctor Who writer, Marc Platt. Domain of the Voord recreated an alien landscape and this story takes its cue from the Hartnell historical adventures and lands the crew in 1400 and they are involved in Henry IV's usurpation of the throne from Richard the second. Like Domain of the Voord, the level of narration unfortunately just doesn't work as I feel that it distances the listener to the action unfolding around them. I think that part of the problem faced with these longer stories is that Big Finish have to try and get around the fact that that William Hartnell and Jacqueline Hill are no longer with us so they leave them out for episodes two and three. What has surprised me is that they make it blatantly obvious that this is their intention. Something I haven't understood is why they would change the format to a full cast audio drama when the full cast just isn't there. I am glad that they are recasting Barbara for the third series of these audio adventures. However, Platt does create a good deal of things for our TARDIS team to do but the overall story is completely plotless. There doesn't seem to be any urgency or drive and absoultly no obstacle for our team to overcome. Even when the story does pick up towards the middle, it never fully recovers from the obvious stumble at the beginning and because of this, this listener just wasn't very invested in the tale. I suspect that on the whole, this can be the sort of problem that occurs when creating an historical Who adventure and we can hear that Platt has tried to do the sort of political intrigue that occurred in The Romans and he almost succeeds. It is just a shame that the story stumbled to begin with. There certainly is a lot of plotting and intrigue going on but not a lot of reason to particularly care unfortunately. As with Domain of the Voord, the supporting characters don't really have a lot to do or a lot of reason to actually be there. Alice Haig is good as Isabella as is Gareth Armstrong as Geoffrey Chaucer. Like all Big Finish releases though the supporting cast do their very best with what they have got. William Russell is brilliant as Ian as is Maureen O'Brien as Vikki. As usual they excel at recreating their characters that played over fifty years ago but, yet again, they certainly have had a lot of better things to do in other releases. For example, Ian in The Library of Alexandria and The Secret History and The Suffering for Vikki. Unfortunatly, Toby Hrycek Robinson doesn't fully succeed at creating a truly convincing historical sound track unlike his excellent score for Domain of the Voord. It is completely apparent that he is better at creating at creating sci-fi scores that historical ones. I was really looking forward to this release when it was announced and while overall, I did enjoy it, this full cast format, when the full cast is no longer around has failed to win me over. Platt does a good job at creating an historical adventure for this crew and nearly succeeds. He very nearly does. Still, there is a lot of charm in this tale to enjoy even if it is a slow burner. But the format for these tales has yet to win this listener over.